By Jeff A. BennerThe above inscription is very unique for several reasons. 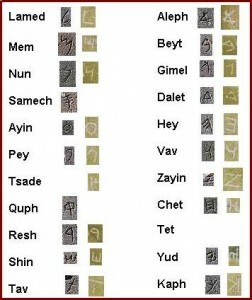 First, it is written in an ancient Hebrew script. Second it is located near the small town of Los Lunas in the State of New Mexico, USA. Third, the inscription is of the “Ten Commandments”. Is this inscription an original or a fake. If it is original, this proves that a Semitic people, probably Hebrews, arrived in the Americas long before Columbus or the Vikings. The above inscription cannot be a fake for the following reasons. The actual time of discovery of the inscription is not known but was known by the locals as far back as the 1850’s. At that time, the script of the text was unknown and therefore undecipherable. It was not until this last century that the ancient Hebrew (paleo-Hebrew) script was discovered in the Near East. Once this ancient script was discovered the Los Lunas inscription could be deciphered and was found to be a copy of the “Ten Commandments”. The Tel Dan inscription was written around 1000 BCE. Since the Los Lunas inscription uses the same script, it is safe to conclude that the Los Lunas inscription was written by a Hebrew people about 3,000 years ago. Other ancient Hebrew inscriptions have been found around the country including Tenessee and the Mississippi Valley. The “Archeological Outliers Homepage” includes other ancient Hebrew artifacts found in the United States. The article “Who Really Discovered America?” also includes some very interesting information on the Los Lunas inscriptions as well as other finds and includes a possible link between the Gold of Solomon and the Gold of Brazil.